The teachings of our Order instill high moral values and strong character-building skills into the lives of our Rainbow Girls. They work hard during their teen years to make their communities a better place for their families, friends and neighborhoods. Many of our girls go on to pursue higher education in medical, education and business fields to become doctors, nurses, psychologists, social workers, teachers, lawyers, accountants and business women. We want to do all we can to ensure that they have the necessary means to achieve these high goals. Kansas Grand Assembly is pleased to offer scholarships each year to several very deserving young ladies who are pursuing post-high school education. The application process is simple. A completed application, including the proper signatures, and a copy of the current year's school transcript must be turned in to the Registration Table by 9:00 PM on Thursday night at Grand Assembly. Scholarships are awarded during the Friday evening session. This scholarship fund was started in 1961 in honor of Agnes McLeod who served as Supreme Inspector in Kansas and Supreme Worthy Advisor for many years. 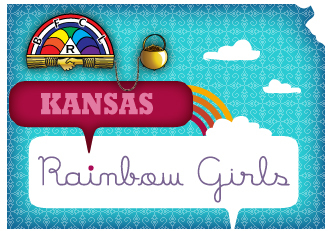 The fund is supported by donations from Rainbow Girls, Rainbow Adults and Kansas Rainbow Assemblies. Both of these ladies loved their work in Rainbow, especially with the Grand Cross of Color. This scholarship fund was started in their memory through donations from the members of the Grand Cross of Color. This fund was started in memory of Danny Kunce, our first State Rainbow Dad. It is supported through donations from the Past State Mother Advisors and Past State Rainbow Dads of Kansas. This scholarship fund is supported by donations from Majority Rainbow Members. A collection is taken each year at the Majority Luncheon and is also supported by other money making projects at Grand Assembly.